On March 30, 2018, Google officially announces that they are Transitioning Google URL Shortener to Firebase Dynamic Links. This announcement was made by the Michael Hermanto, on Google Developers Official Blog. The Google URL Shortener Services was started in 2009. With the help of Google Shortener URL, webmasters can easily analyze the traffic and see the number of visits to the URL. The Google URL Shortener Service shrinks the long web links (which are not easy to remember) into a short URL, so the users can easily type and share the links. Since after the launch of Google URL Shortener, many other web services started, with the same goal. But now, the way of web browsing and using the internet by the people is changed. Nowadays peoples use the smartphones, tablets, and many other gadgets for internet browsing. The world is getting smart to smarter in technology. Almost all the authorities websites have the mobile app for the users of their website, which turns the webpage into a mobile app. Webmasters are using Google Analytics to analyze the online web traffic. Google Analytics provides more data about the users, so the webmasters have more control over their website. Keeping these things in mind and the needs of moderns era, Google decided to Transition Google URL Shortener to Firebase Dynamic Links. 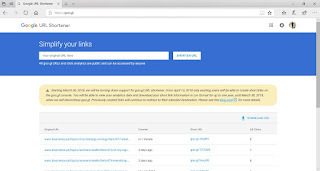 In the official announcement, Google says that from April 13, 2018, anonymous users and users who have never created a short link before today (March 30, 2018), will not be able to generate a new link via Goo.gl, and the existing users can still use the service for a period of one year, until March 30, 2019. After March 30, 2019, all the existing short links will continue to redirect to the intended destination. 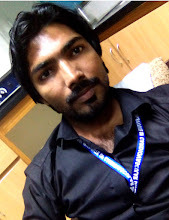 And the users are able to export the link information from Goo.gl.